The ‘spirit rock’ is located at the entrance of the Loy Center. 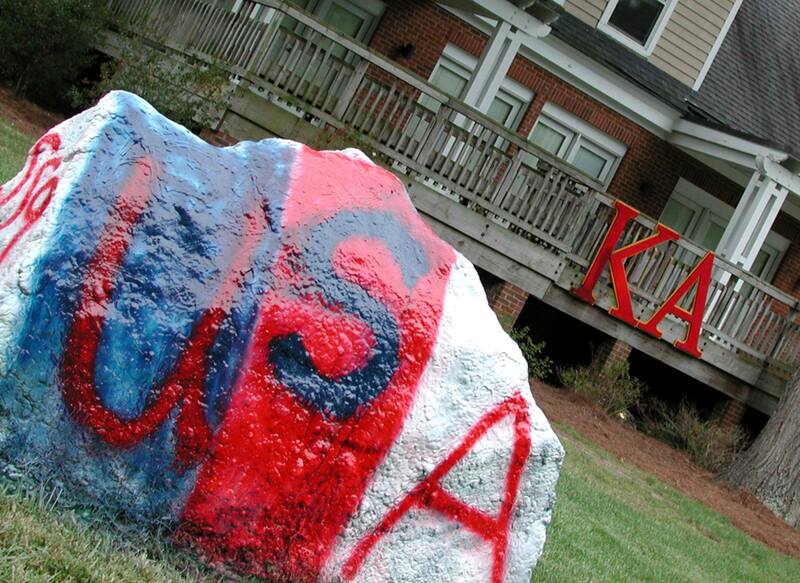 Greek organizations are allowed to spray paint this rock to show their Greek pride. Painting the rock becomes especially common during recruitment, the new member period, Homecoming, and Greek Week. Members of the organization typically gather at night to paint the rock so it is a surprise for the other Greek organizations the following day. This tradition represents both competition in the Greek Neighborhood and unity within the organization. 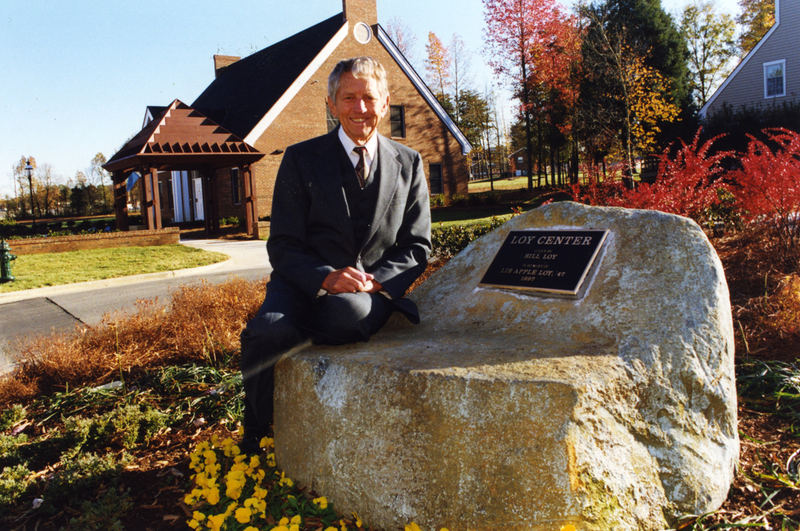 It is unclear when the tradition began, but it is expected that organizations started painting the rock in the late 1990s soon after the dedication of Loy Center. This entry was posted in Campus buildings, Campus traditions, Student Life. Bookmark the permalink. ← Rare Chant Book Now Available Online!